Today there’s big news in this year-plus long defamation case: plaintiffs Ellora’s Cave and Defendants Dear Author and Jane Litte have settled. We are pleased to announce that we have reached a settlement with Dear Author. The terms are confidential, so we will not be discussing that. We are very happy though to now put all of our time and efforts into Ellora’s Cave, the authors and staff without further distraction. Further,Ellora’s may be planning for bankruptcy even at this time–but have refrained from doing so in the hopes that this SLAPP suit will bear fruit. In fact, Ellora’s counsel has reported to the undersigned on numerous occasions that Ellora’s has failed to pay his bills. This was a footnote that Randazza had apparently intended to delete, and it led to plaintiffs filing a motion yesterday to strike the footnote, pointing out that this case had received a fair amount of discussion on Twitter’s #notchilled hashtag. 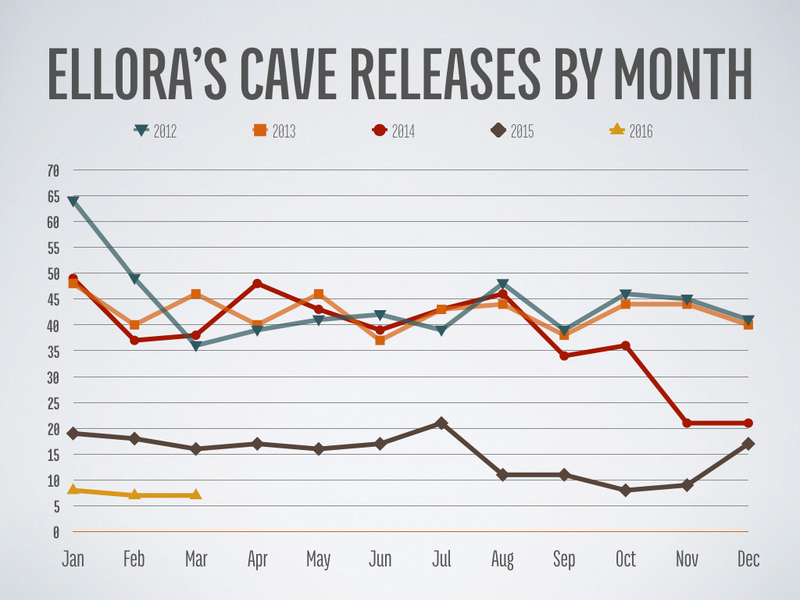 The real value of the evidence Plaintiffs offer in support of their Motion is that it shows that there is widespread public interest in Ellora’s Cave and thus this controversy, belying any claim that the Plaintiffs are not a public figure as they disingenuously claim. And while the merits of this case are before this Court to decide, Defendants have resorted to internet and social media outlets to gather support from followers for their position (and to solicit online donors to pay their legal expenses) in what is basically a public relations war against the Plaintiffs’ case. Let me be clear: Those of us posting on #notchilled are a diverse group who (mostly, since at least two purported Ellora’s Cave employees have posted to #notchilled) agree on one thing: the case against Dear Author and Jane Litte was filed to quell free speech. But in this country, we want to make sure that people have the right and ability to talk about matters of public concern, to express their opinion on them, and to speak freely without worry that their speech will be chilled. So if you inject yourself into an issue of public concern, you may be a limited purpose public figure–that is, someone for whom the standards differ. 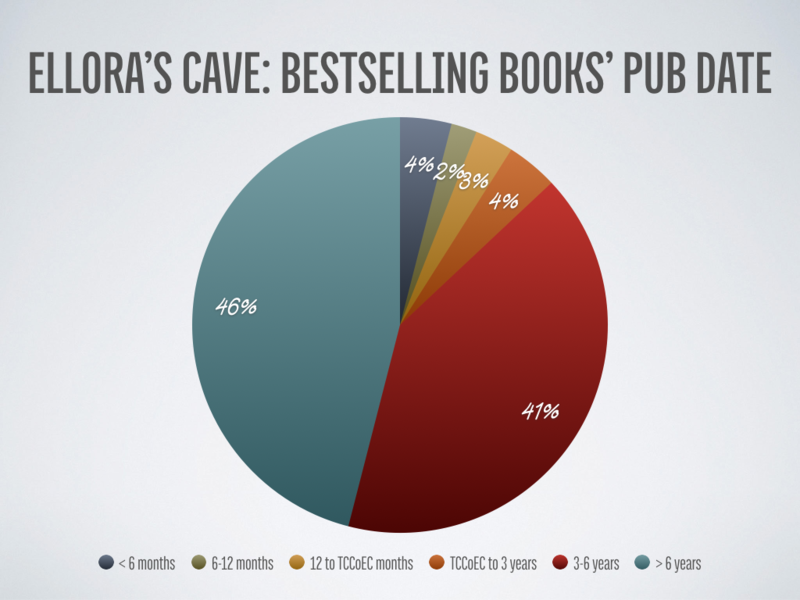 It seems to me that the business of Ellora’s Cave–a multi-million dollar business, one where the owner has sought and obtained media attention from national news media, a business that deals with hundreds if not thousands of authors, editors, and cover artists, and who has thousands if not hundreds of thousands of readers who take an interest in it–is a matter of public concern. 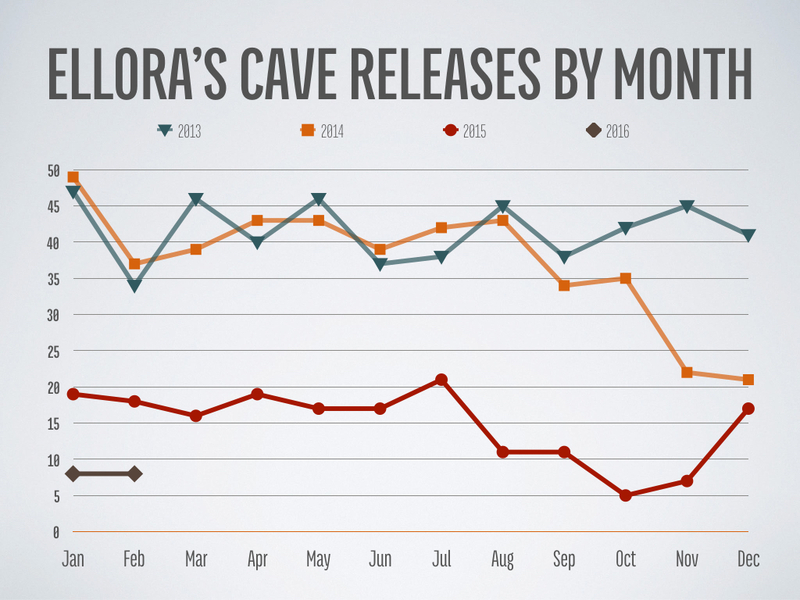 It seems to me that Ellora’s Cave and its owner, Jaid Black, by seeking out that media attention, by broadcasting announcements to its authors–announcements that were reprinted and referenced in publishing news ranging from Publishers Weekly to The Passive Voice–is a limited purpose public figure. And the standard for defamation actions for limited purpose public figures is substantially different than for private citizens. The standard is that the speaker must be acting with actual malice: that is, they must know (or be reckless about knowing) that the statements they are speaking are false. What that means is that if I say something and I have a good-faith belief that what I am saying is true–even if it later turns out to be false–I am not going to be held liable for defamation. 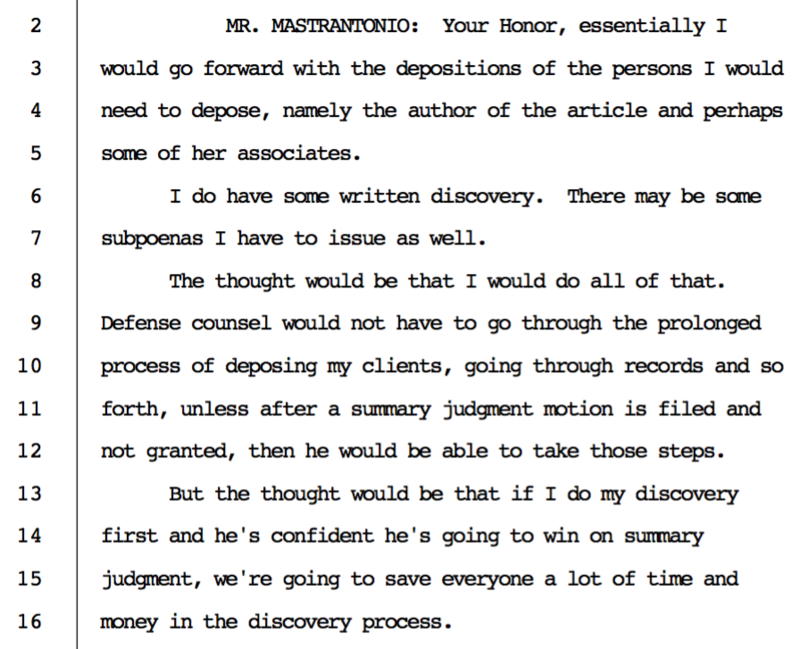 Which is a pretty good statement of the unifying principles of the #notchilled regulars. 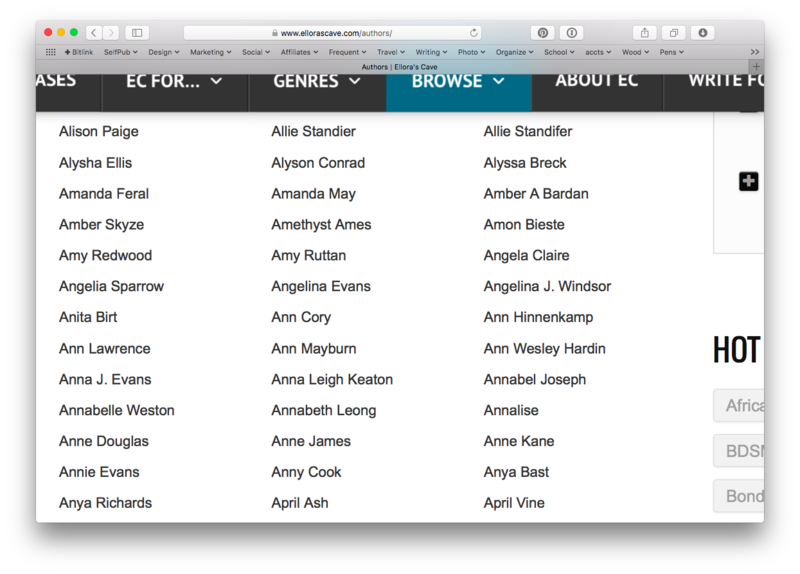 Some are EC authors. Some are former EC authors. Some are readers, but not authors. 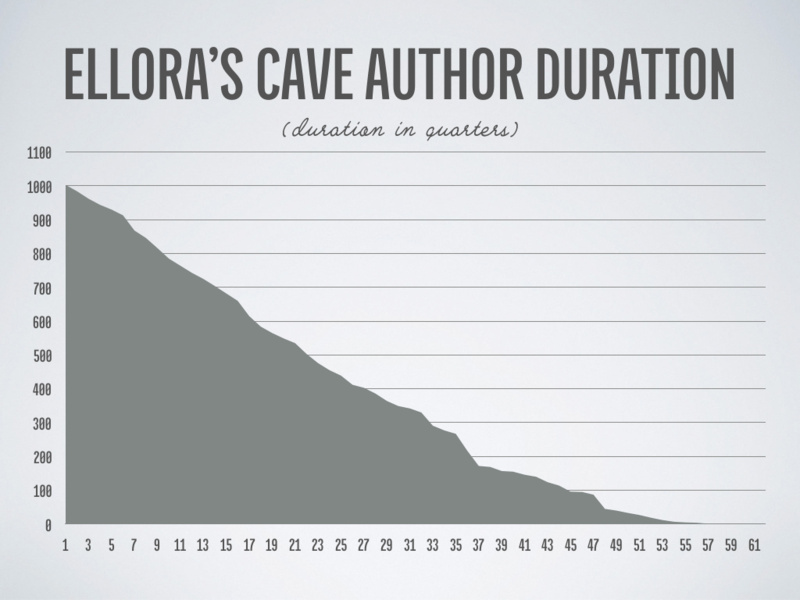 Some (like Courtney and myself) are writers, but not for Ellora’s Cave. But we weren’t posting specifically because of who the defendant was, but what the issue was. 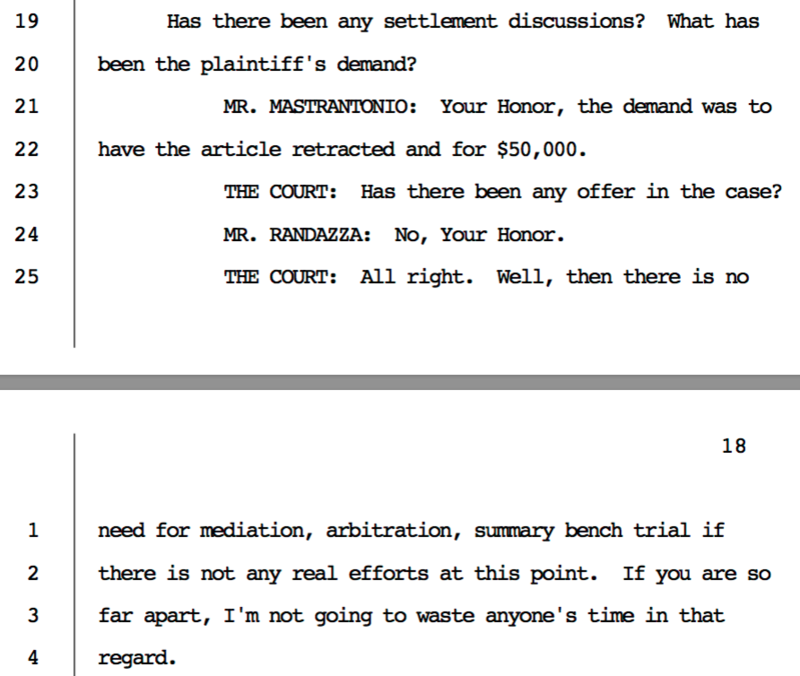 Defendants further note that Plaintiffs offer no evidence that Defendants are waging any sort of a “public relations war against Plaintiffs’ case.” Indeed, there is no evidence to be found. The purpose of this accusation is clear – to try and negatively color the Defense. However, should the Plaintiffs wish for Defendants to address this issue in earnest, the Defendants have preserved publications and statements by Ellora’s Cave’s founder, Tina Engler, about this case, as well as her “sock puppet” twitter account, which would scorch them with hypocrisy—should the court be interested. The “sock puppet” referred to @pubnt (and possibly others), whose identity will likely never be known as a matter of law, but here’s the complete archive of 2,620 tweets. 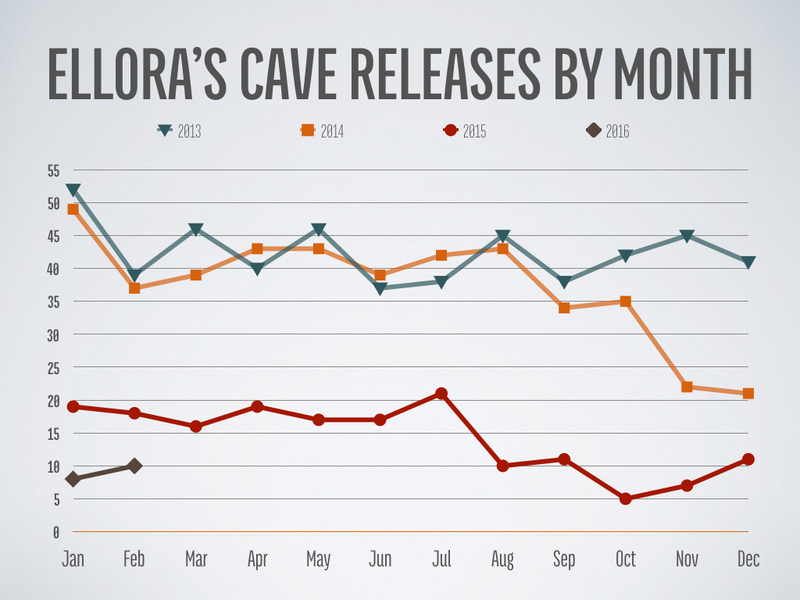 There’s still the matter of several hundred Ellora’s Cave authors, quite a few of whom have publicly stated that, as of this writing, they’ve not been paid royalties for periods later than February 2015. I do not know of anyone reporting having received payments for a later period, and February was eight months ago. 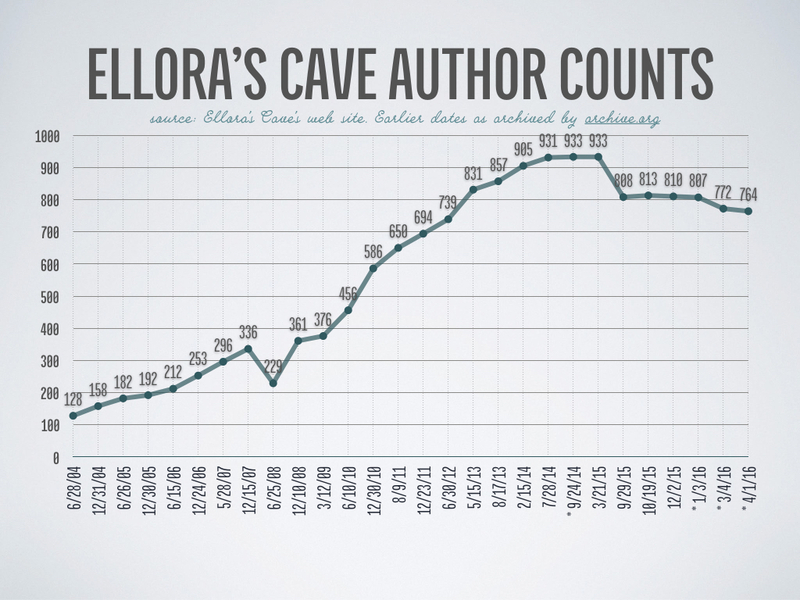 Given that Ellora’s Cave still has (as of a few days ago) more than 800 authors, that’s a seriously large quantity of royalty checks to be behind. 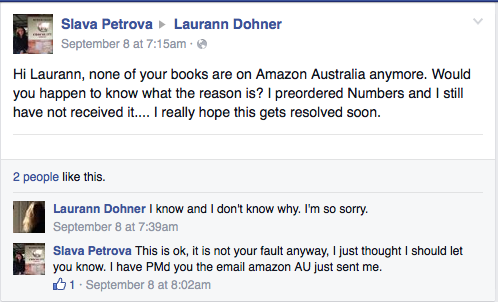 In September 2015, I contacted Patty Marks regarding complaints about the company’s failure to issue royalty statements and checks to authors. 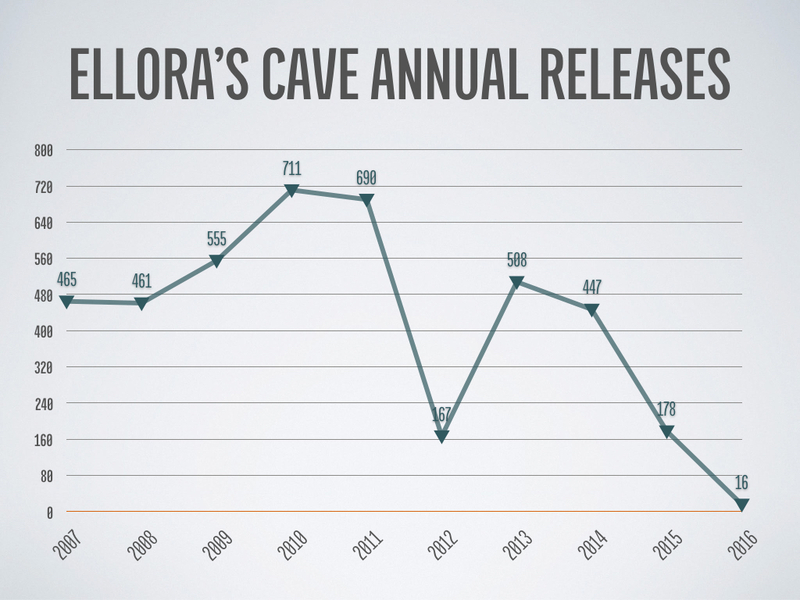 Ms. Marks recently admitted to me that Ellora’s Cave is not up-to-date with paying its royalties and has not paid its authors in a timely manner. 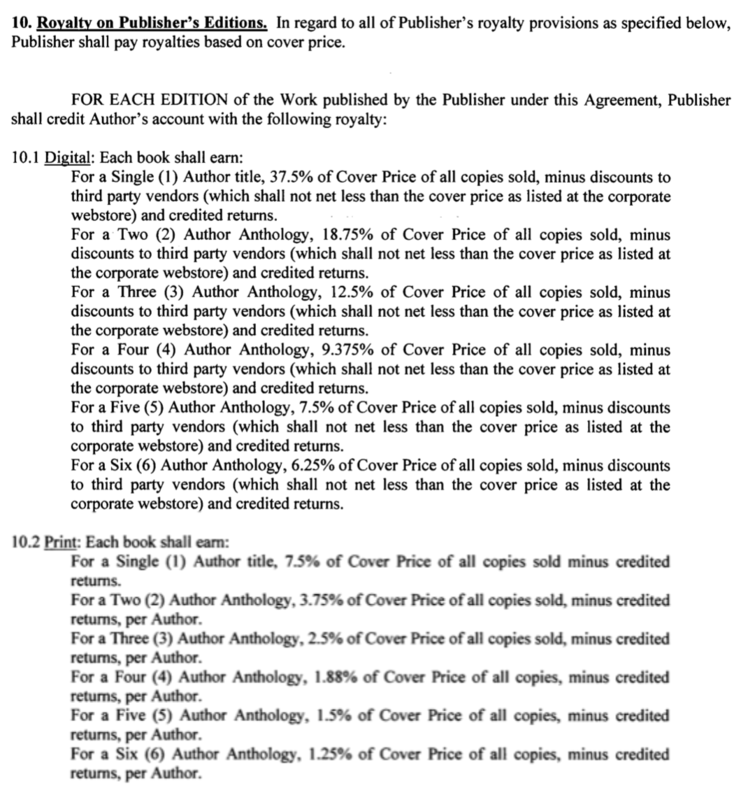 Failure to pay authors and comply with the terms of contracts are violations of the Romance Writers of America’s code of ethics for industry professionals. 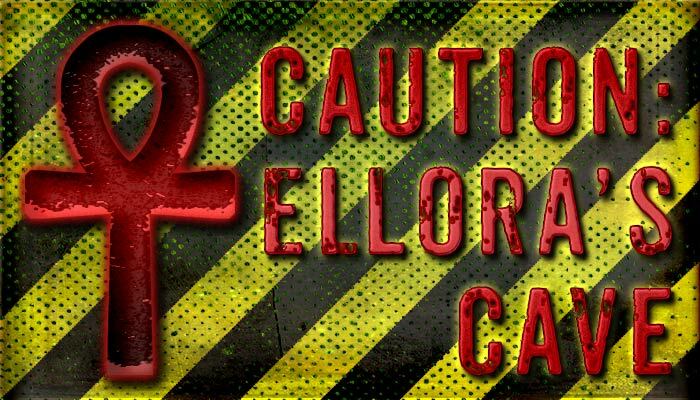 As a result of Ellora’s Cave’s violations of the code of Ethics, Ellora’s Cave has been suspended from certain privileges with the Romance Writers of America. 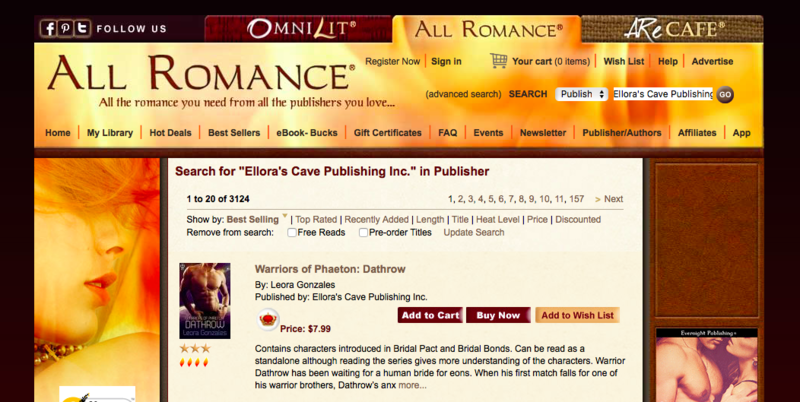 This means that Ellora’s Cave is prohibited from contacting members of chapters regarding new submissions and may not participate in any Romance Writers of America chapter event until it has paid its authors all amounts due. I don’t know if that’ll ever happen, but I hope for authors’ sakes that it will. Until then, I leave you with Lieutenant Commander Ivanova. Not quite as satisfying as having all the answers and full restitution for all authors, but it’s what I have to offer. I believe there’s a good chance there will be a class action filing. My attorney has other authors who’ve expressed interest, and it will be a topic of conversation next week. Meanwhile, I know no more than anyone else, except that my motion to intervene in the DA defense is moot, since the suit has been settled. 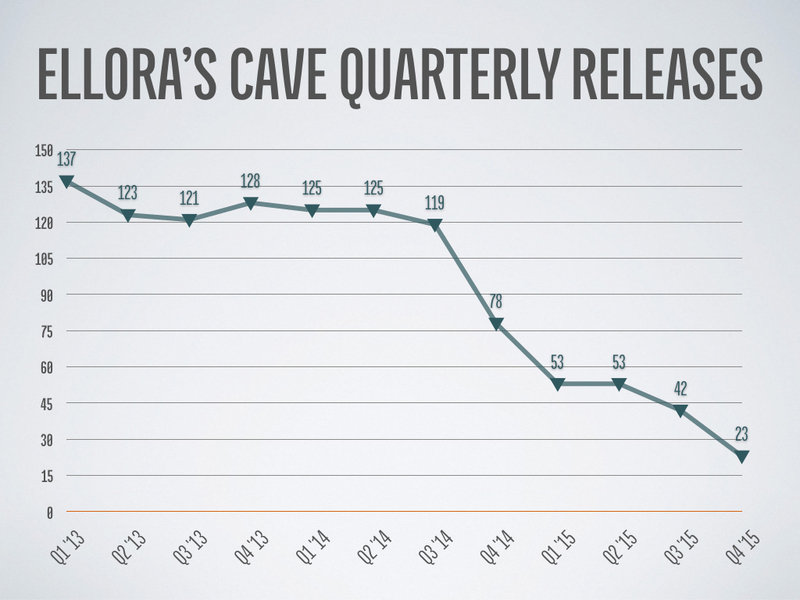 Ellora’s Cave: So Who(‘s) Left? 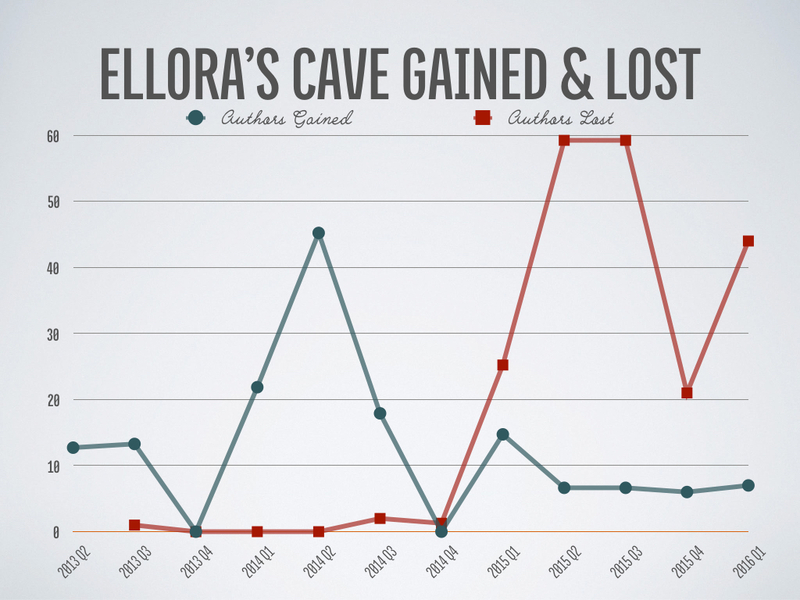 Based on screen scrapes taken of Ellora’s Cave author page on September 24, 2014 and September 29th, 2015. So, it’s as accurate as that data is. Boldfaced means the author has been an author of either a NY Times or USA Today bestseller. 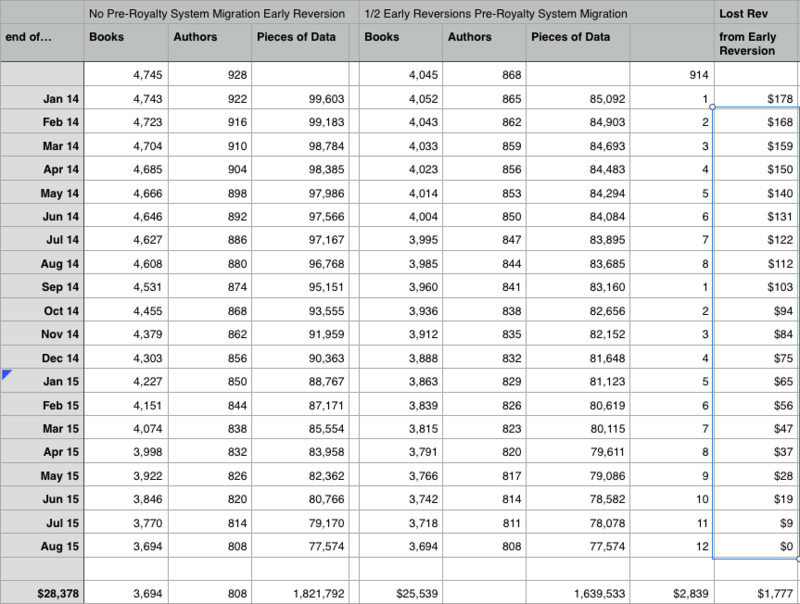 Note that some unknown percentage of these had titles that were below the threshold for reversion, and the remainder were likely rights that were bought back. With the notable exception of Laurann Dohner, the New York Times and USA Today bestsellers I could find from these authors were all published by other houses. 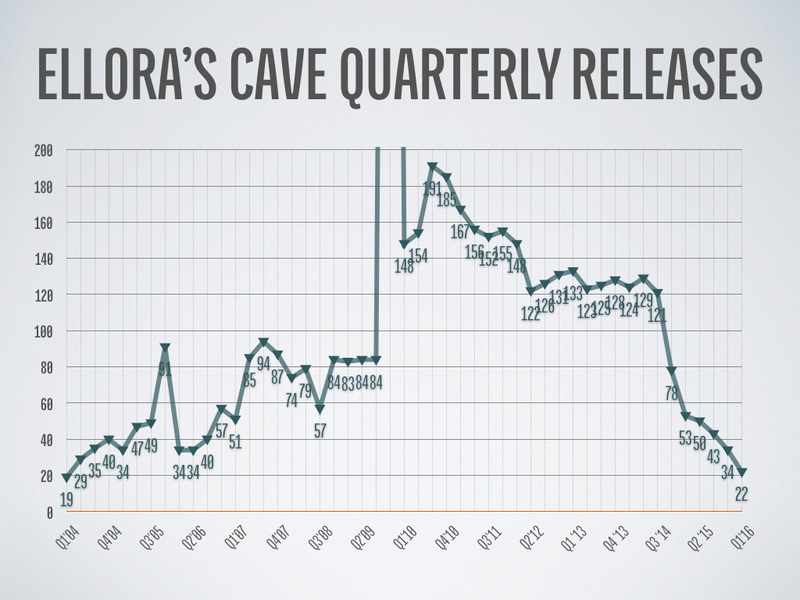 Because Ellora’s Cave is a digital first publisher, the “Most Recent EC Title” column means: the most recent unreverted Ellora’s Cave ebook release date. 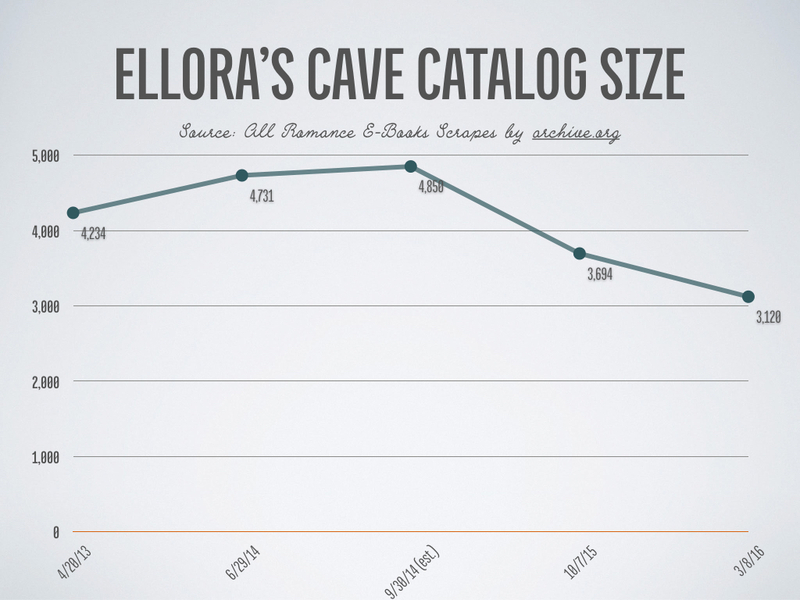 Also, even though an author still has titles at Ellora’s Cave doesn’t mean some of their titles haven’t reverted. Amanda Ashley’s titles have completely reverted. Joey W. Hill is down to a couple of discount print titles; all her e-titles have reverted. Laurann Dohner later announced that she would be self-publishing future titles. 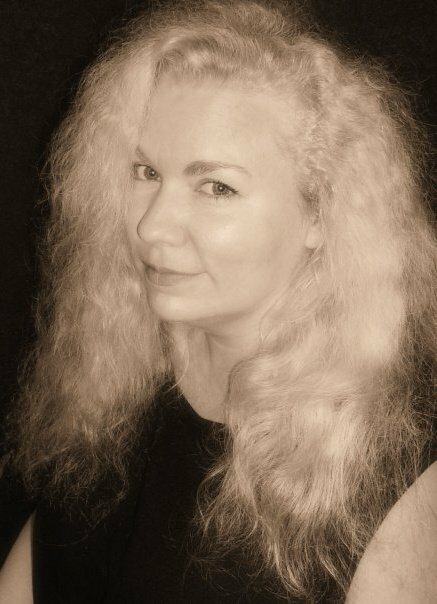 Lora Leigh has had all books reverted except for stories she has in anthologies. Madeline Baker is down to a few discount print titles; all her e-titles have reverted. Shiloh Walker wrote a blog post. Apart from one discount print title and several cavemen anthologies, her titles have reverted to her. Six major changes out of their 21 remaining NYT/USAT bestselling authors in five months. 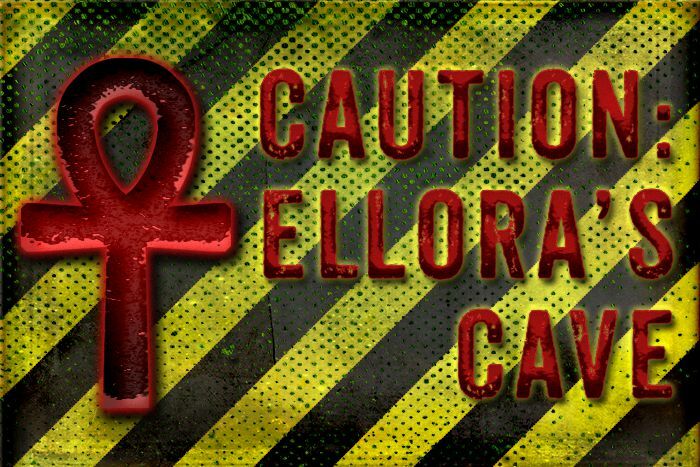 There may be a much longer list here, but I don’t know all the early Ellora’s Cave authors. I’ve scraped the Ellora’s Cave site a few times, and have used all of archive.org’s available scrapes as well. I have a reason for posting this, but after the graph, I’ll post a timeline, then wrap it up so you can see why I think this is significant. Ellora’s Cave layoffs announced August 18, 2014 (report on AW), published in Dear Author the following day and Publishers Weekly a week later. 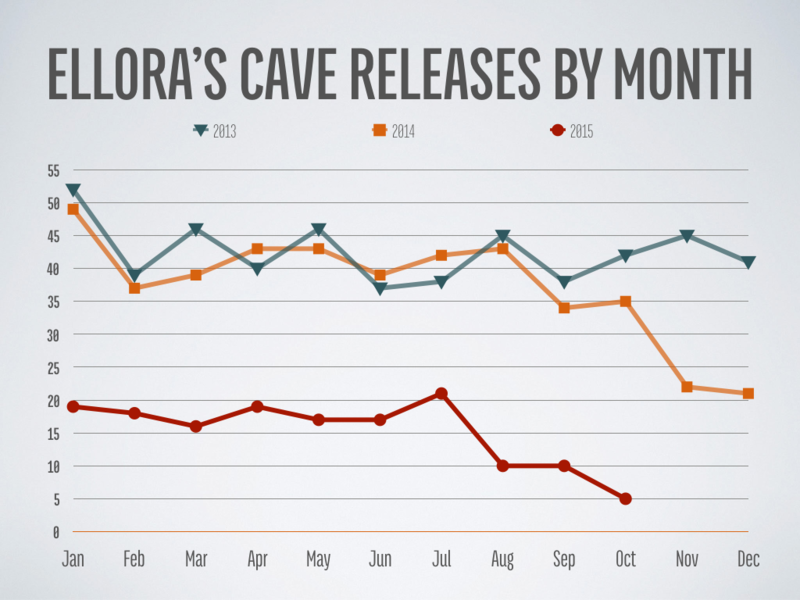 The Curious Case of Ellora’s Cave, published Sep 14, 2014. No, I can’t have my rights back on those two. If I don’t cooperate with the editing, Ellora’s Cave will exercise its contractual right to edit and publish the books anyway. If those books do come out, I will make a statement to say I had nothing to do with the editing and the books are released without my cooperation. After that, it’s up to the reader to decide. 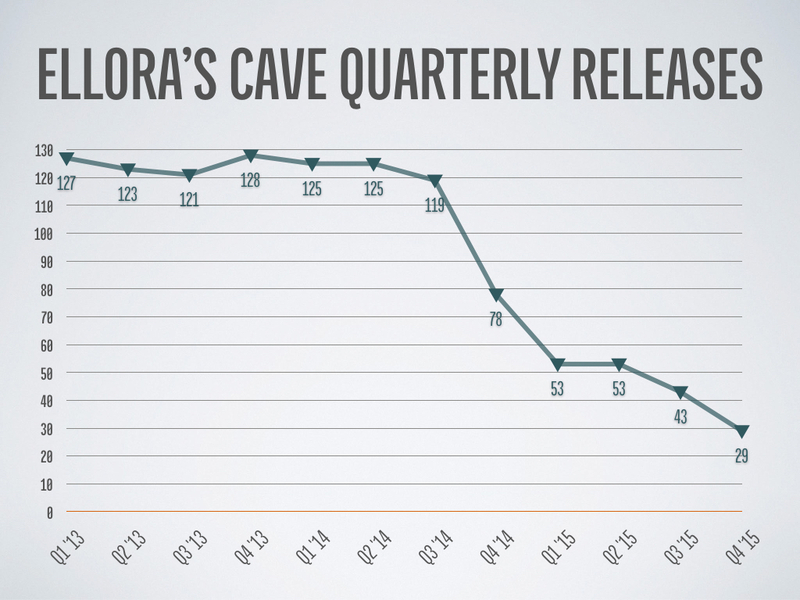 Cat Grant says Ellora’s Cave would allow her to buy out her contract on Sep 20, 2014. Rights buybacks are disgraceful. 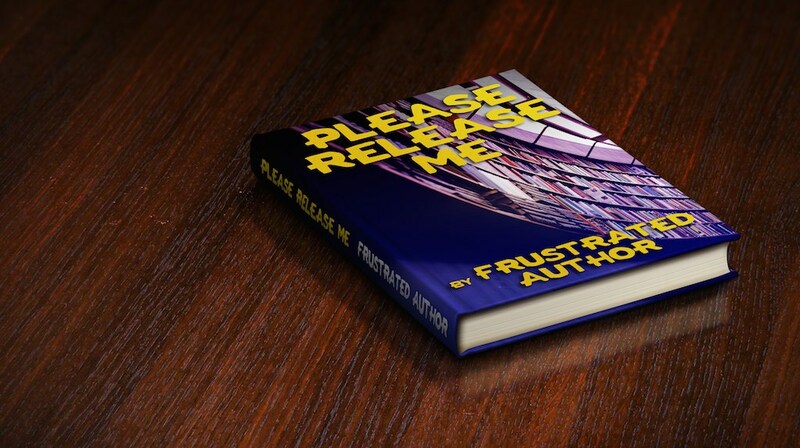 Failing or not, a publisher should either revert rights or not revert them—but it shouldn’t hold authors’ books for ransom, even if the motive isn’t to make a quick buck before the ship goes down. 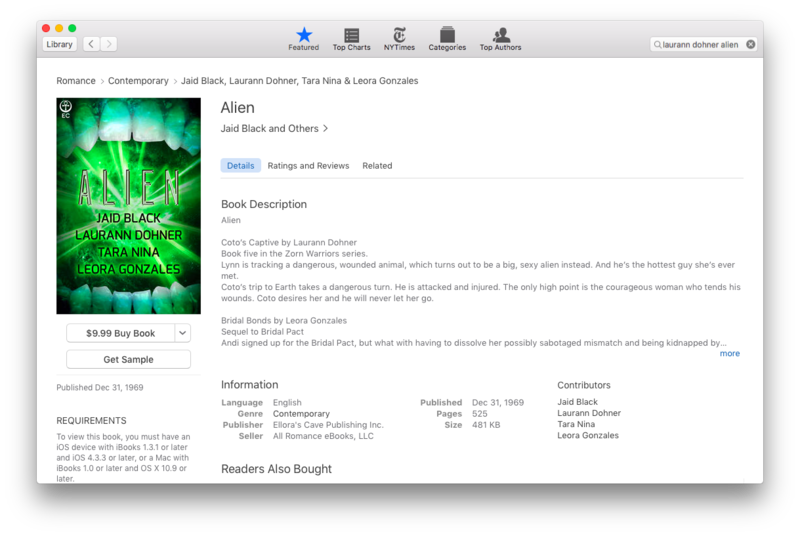 Lawsuit against Dear Author and Jane Litte over the Curious post was filed September 26, 2014. The following day, Cate Cameron asks for a guide to requesting rights reversion. The day after that, I linked to one I’d found. 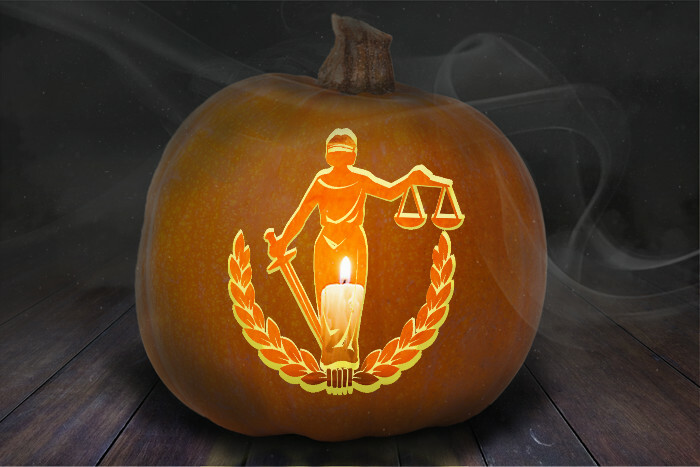 News of the lawsuit hit Publishers Weekly on September 29th. On October 1, Victoria Strauss posted a reversion guide on Writer Beware and posted a link to that on the Absolute Write EC thread. So here’s the thing. The standard reversion language is given by example here on p.44, and you’ll note it takes (up to) six months for the process to complete. In other words, if people had asked for reversions solely and only because of the Dear Author article, then those reversions would have occurred between September 14th, 2014 and March 26th, 2015. If you look at the total number of authors EC had as of March 21st (5 days before the end of that window), they had the exact same number of authors (though not necessarily the exact same authors) as they’d had after Jane Litte’s Curious article. 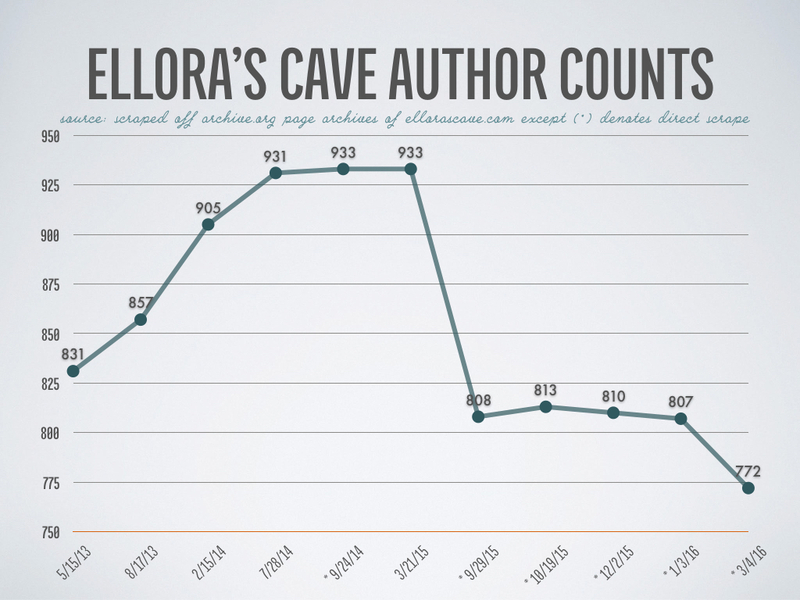 In other words, the overwhelming majority of authors leaving Ellora’s Cave entirely appear to have done so so after the effects of Ellora’s Cave filing a lawsuit, not after Jane Litte’s article published by Dear Author and before the lawsuit. 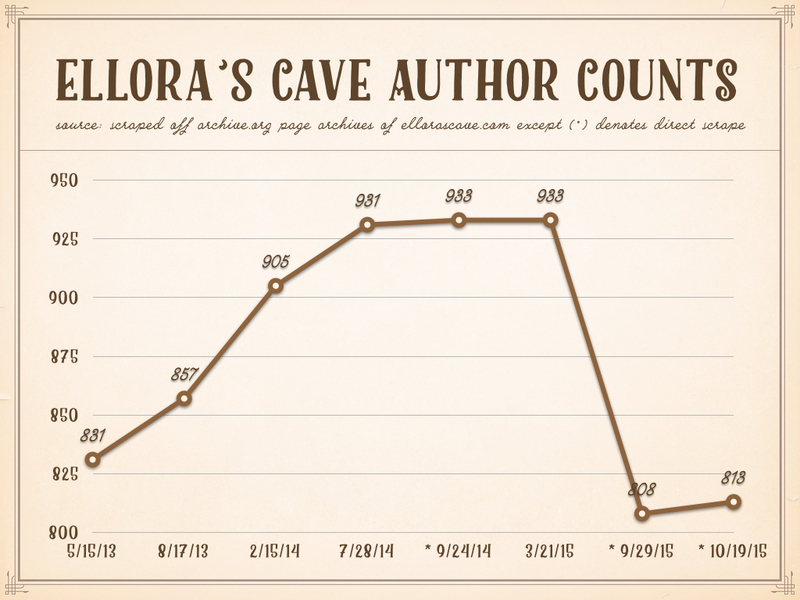 In the 14-1/2 months leading up to July 28, 2014, Ellora’s Cave added exactly 100 authors…an average of 6.8 per month (1.6 per week). 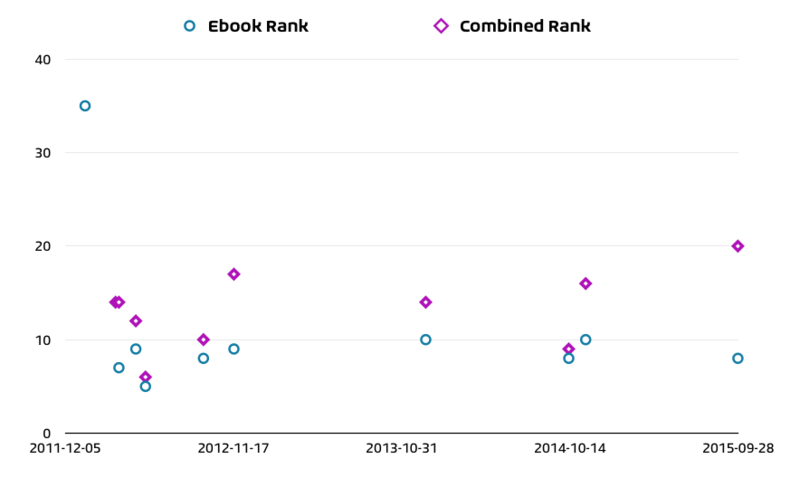 In the two months between July 28, 2014 and September 24, 2014, EC added two new authors…an average of 1 per month. 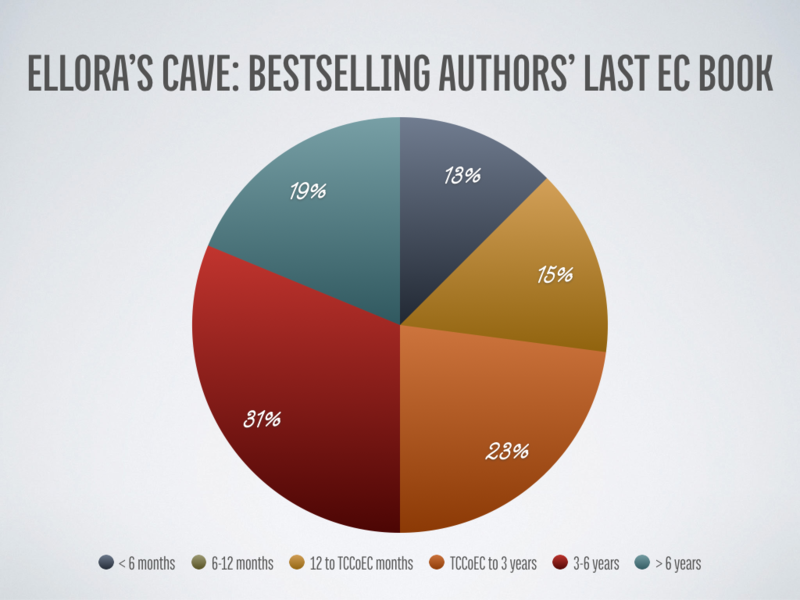 In the six months between September 24, 2014 and March 21, 2014, EC added zero new authors…an average of 0 per month. 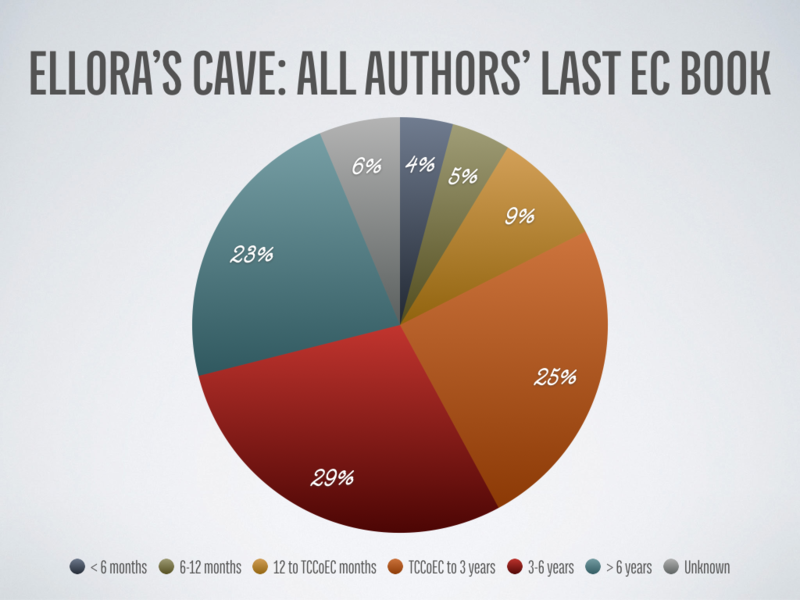 In the following six months, EC had a net loss of 125 authors (142 left, partially offset by 17 new authors). 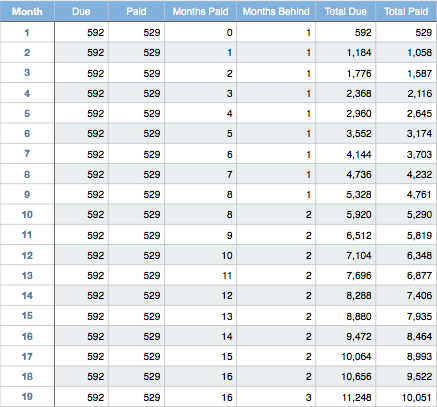 That’s an average of 21 leaving per month and 3 added per month. In the last three weeks, EC’s added five new authors. We have already cut staff, special EC projects and other expenses, but the drastic drop in sales has resulted in large net short-term variable production losses and slow and often negative return on investment for EC on almost every new book we publish, with the exception of a handful of the highest sellers. If I’ve missed any author links or have any incorrect links, please let me know. I do have the data to do more in-depth analyses of the authors who left over time, but the old site used Lastname Firstname and the new site uses Firstname Lastname, and I have zero spoons for that. If anyone would like the raw data, please let me know. Are you an Ellora’s Cave Writer who: asked for your rights back as a response to this Jaid Black post (August 12, 2014)? For context, that would be the week before the editor (and other) layoffs, before the Curious article by Jane Litte, and before the lawsuit. If so, Dear Author’s defense would like to hear from you. Please email me (deirdre@deirdre.net) or ping me on Twitter, Facebook, or AbsoluteWrite. Jaid Black and Richard Stansbury have a new project: Serial Killers Anonymous. It’s about a bunch of serial killers who meet in a group. You know, like twelve step. It gives a date of June, 2015. I don’t want to say it’s been done before, but there’s an identical title and similar concept from this 2013 posting by Alexander Williams. There is an in-development title of the same name listed on IMDB, but whether it’s about Alexander’s script or Jaid and Richard’s (or someone else’s entirely), I could not say. The production company given is Orchard Place Productions which is a Pittsburgh, PA company. Their web site does not list SKA, however. The movie they released last month, though, featured this song from Supervoid, which is a little hard for my taste. Good though. This was an interesting Google find that you can locate by searching on: USDOT Ellora’s Cave and clicking on the fmcsa.dot.gov link on the first page. The “OOS” (Out of Service) category column has an entry which states: New Entrant Revoked – Refusal of Audit/No Contact and the “OOS Date” (Out of Service Date) is November 17, 2008. Per the MSCIP Step Chart, which explains the various possible explanations that appear in the “OOS” category column. While there is no perfect match, this appears to most closely match the description for Step #63. I believe it may be about the Ellora’s Cave bus. 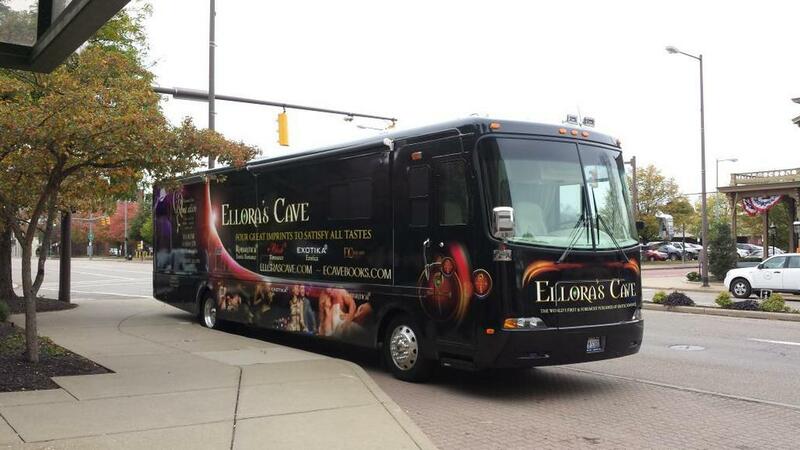 Ellora’s Cave Party Bus. Photo by Cait Miller. Per that, it appears that any commercial registration in Ohio requires a valid USDOT number. Note that this isn’t a USDOT number for the vehicle, but rather for the carrier. So if Ellora’s Cave had, oh, any commercial vehicle registered to the company, they’d need to have a current, valid USDOT number with no Out of Service Orders. Like, say, if they owned a bus. It does seem odd, given that the description for Step 63 says that yes, the carrier’s vehicles would be targeted at roadside, and yes, deny registration, that this situation appears to be unaddressed after almost seven years. There’s a formal process for issuing an out of service order, detailed here. It just strikes me that it’d be the kind of thing that’d be hard to miss. It’s not unheard of for government sites to be incorrect, though, so I don’t want to read too much into it.